Exploring the Canadian Rockies. We finally made it to Canada and I had been looking forward to visiting the majestic Canadian Rockies for quite sometime and they did not disappoint. My husband planned our trip perfectly. We started in Banff and upon arriving we took the Banff Gondola ride up to Sulphur mountain. I must have stopped 100 times because each step I took led to a more stunning view. I was in awe! From there we took a cruise on Lake Minnewanka where we learned about the different animals in the area and about the history of the lake. We were fortunate enough to have great weather during our time in Banff. The Banff Gondola closes during the winter months and reopens at the start of Summer. 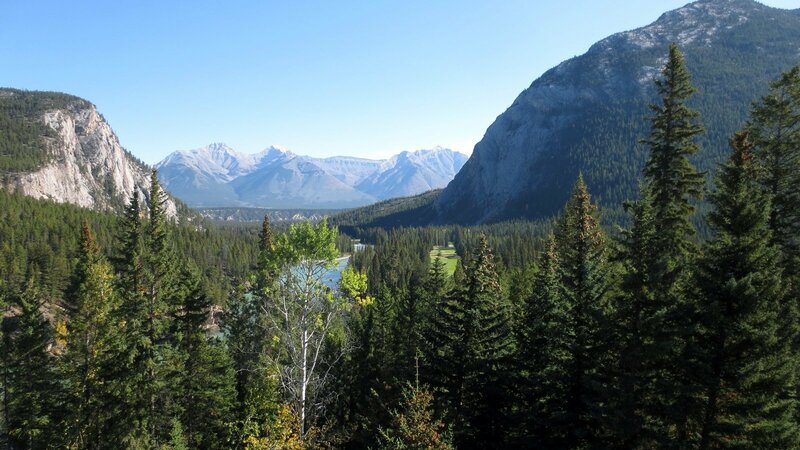 We purchased our tickets via Brewsters Travel Canada website and at the time, they had a promotion $130 p/p which included 4 adventures: Banff Gondola, Banff Lake Cruise on Lake Minnewanka, Glacier Skywalk, and Glacier Adventure. The following day we made it to Lake Louise. I have never seen water that color. We strolled along the lake and had lunch at the magnificent Chateu Lake Louise. We then went to Moraine Lake, another beautiful lake with spectacular views of Ten Peaks. 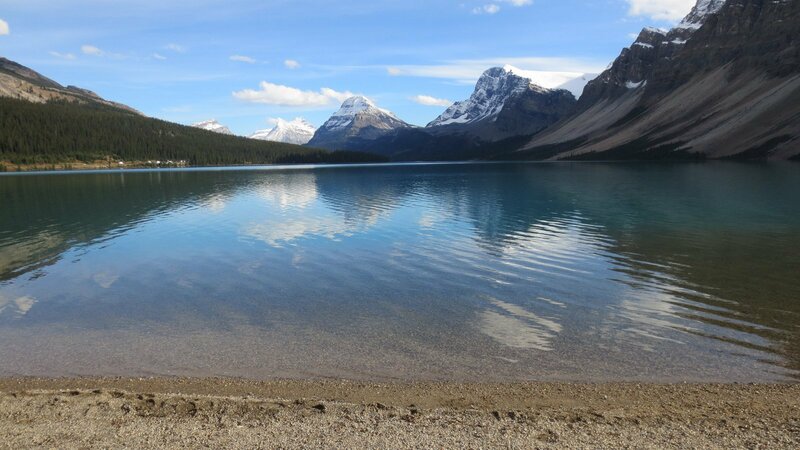 To complete our tour of lakes we ended our day in Bow Lake and Peyto Lake, all just as beautiful as the others. 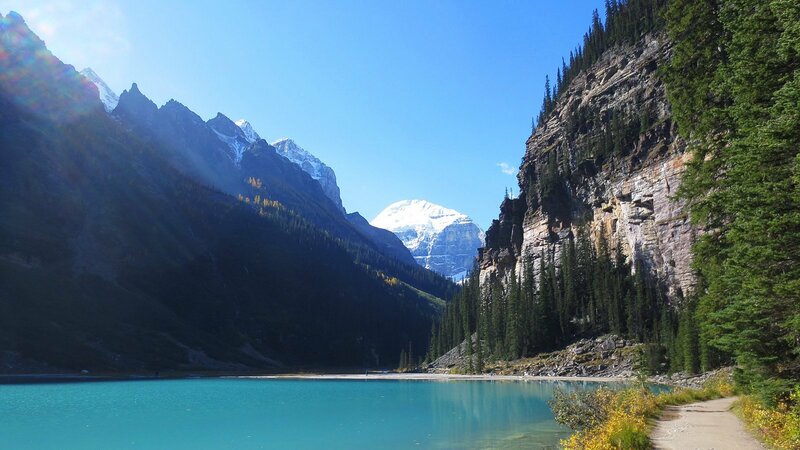 Lake Louise is one of the worlds most photographed glacier lakes. For our final day in Banff we started with a wonderful breakfast at the historic Banff Springs Hotel. Breakfast is pricey but worth the experience. I can’t say enough about this beautiful property. We walked around and down to Bow Falls. We couldn’t complete our stay in Banff without walking around and exploring the quaint downtown area. We stumbled upon a local Farmer’s market and stocked up on our Canadian maple Syrup. I know this is the first of many visits to Banff.